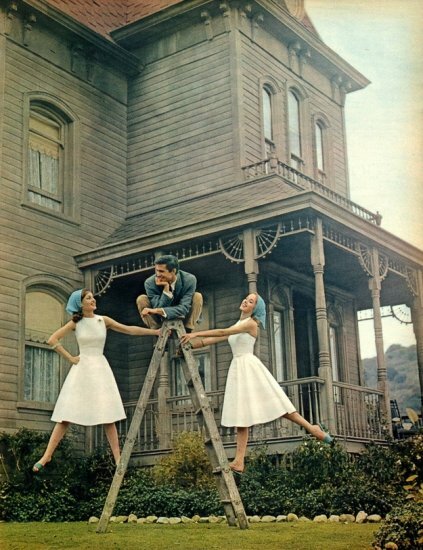 Oh, sure, it’s all smiles now, but wait ’til Mother meets the new maids. It’s terrible for his skin, but Baragon loves sunbathing. 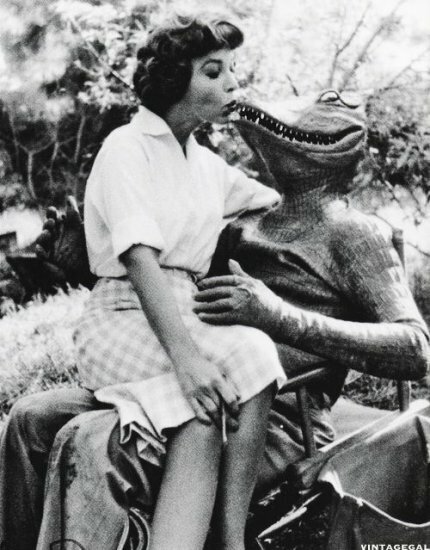 Even the Alligator People have their admirers. 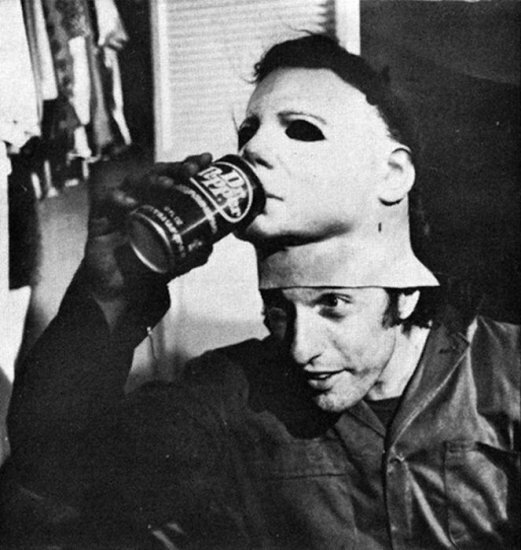 Michael Myers enjoys a Dr. Pepper, courtesy of Nick Castle. I expected that I would skip this year’s Halloween countdown. Too much going on, not enough time. And heck, I’ve already given up on pretty much every other aspect of Halloween. I no longer fill my front yard with tombstones. I don’t bother to dress up for the handful of trick-or-treaters who show up at my door. So, why bother? Screw that. I won’t let the terrorists win. That said, this will be a low-content countdown this year. 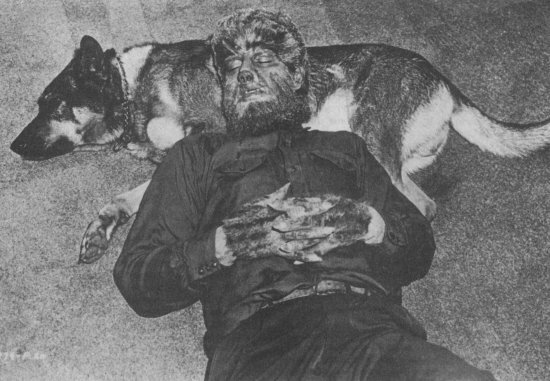 No lengthy write-ups, just a gallery of monsters taking a break. 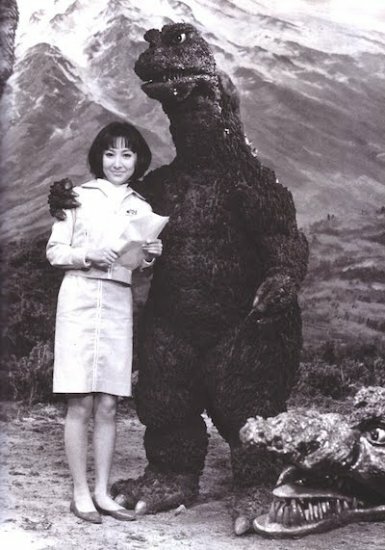 Godzilla on the set of Destroy All Monsters. A recent installment of the YouTube video series PBS Idea Channel asked whether it was possible to deliberately make a movie that’s so bad that it’s good. Now, as this series is made for hipster doofuses, annoying jargon was required: “nanar” is French for “good bad” movies. I will not be using that word here. Sit back and allow Mike Rugnetta to assail you with his ADD-friendly words and images for a few moments, then rejoin me below. I’m going to agree with Mike here; you can’t intentionally make a “good bad” film. Many people have certainly tried, and some have even made a career of it. But these movies are at best pastiches and at worst, failed comedies. Because, let’s face it, it’s easy to make a bad film. Even highly talented people do so. 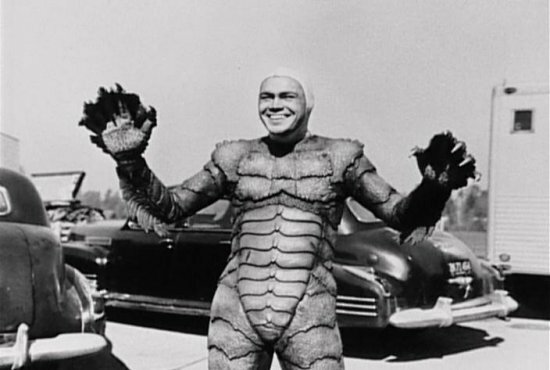 These days, any wiseass with a video camera and a few willing friends can haul down to Bronson Canyon and churn out a crappy sci-fi/horror flick. What separates Plan Nine from Outer Space, Birdemic and The Room from the wannabes is the most important ingredient: sincerity. The directors of these films were passionate, and they inspired others to share that passion for a time. They didn’t set out to achieve badness; badness came to them. Ideally, the truly “good bad” movie ought to have something to say, being said by someone in no way qualified to get that message across. Birdemic wants to be an ecological parable, Plan Nine wants to warn stupid humans about the dangers of the arms race (also, exploding the sun). Their spectacular failure makes them all the more endearing. 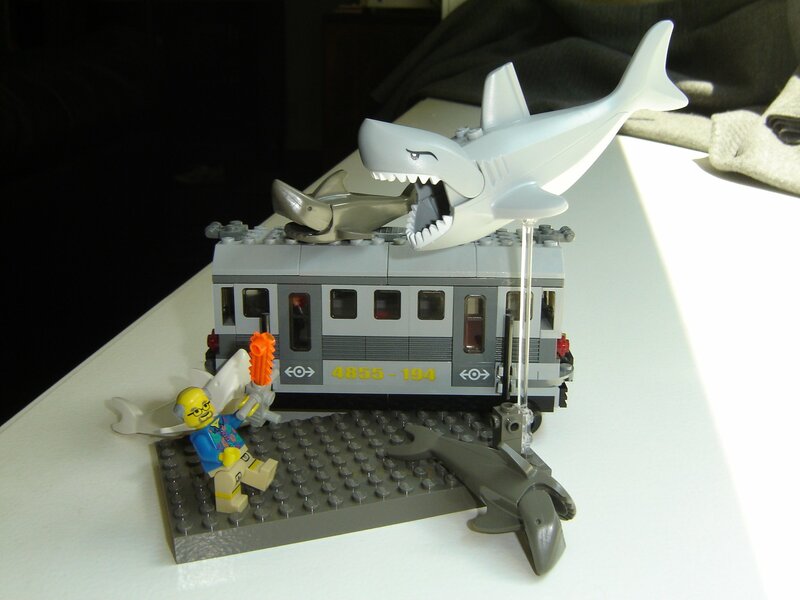 And that brings me to the reason for today’s post, Sharknado. For the uninitiated, Sharknado is one of many B-movie pastiches produced by The Asylum, a film studio that specializes in poverty-row “mockbusters” and exploitative monster flicks, most of which show up on the Sci-Fi SyFy Channel. They’re the people who create such artificially-induced “good bad” films as Mega Shark Versus Giant Octopus, which promise ludicrous spectacle, but are mostly kinda dull. Sharknado is literally about a tornado full of sharks, and it ends with Ian Ziering chainsawing his way out of the stomach of a Great White. And I will make the case that Sharknado is a good movie. 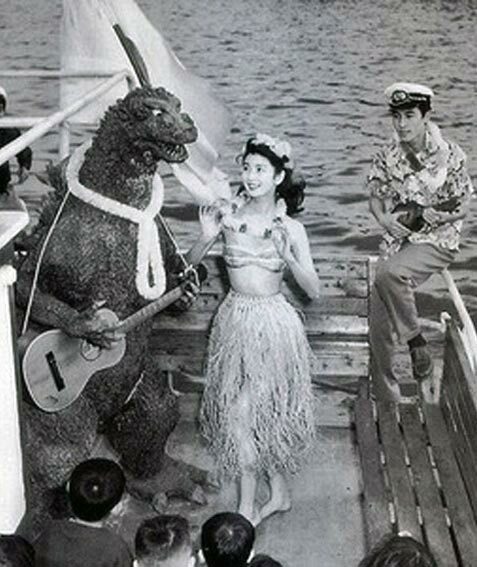 Not “good bad,” but one that is largely successful at what it’s trying to do, which is to take The Asylum’s favorite formulas of aquatic monsters and city-leveling disasters to a logical, ridiculous conclusion. It’s not two minutes of “money shots” surrounded by 80 minutes of tedious dialogue. The shark attacks come early, often and in the least likely of circumstances. It’s the movie that Mega Shark Versus Giant Octopus wanted to be. Tonight sees the premiere of Sharknado 2, which I am approaching with trepidation. Everyone appears to be in on the joke now, and I fear that the sequel will fall into the category of failed comedy. 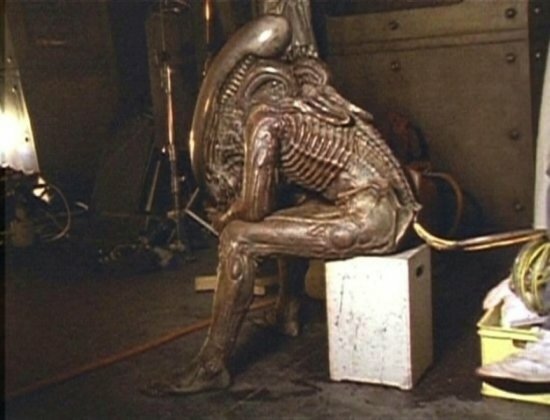 After all, it’s far too easy to make a bad movie.